Herbs don’t take up a lot of gardening space. That means you can plant one in a windowsill or small container on apartment balcony or concrete backyard. Once planted, most herbs don’t take a lot of attention to flourish. They just need a little water and sunlight. This will definitely step up your cooking game. As your lightbulbs burnout, you might want to consider switching them to incandescent lightbulbs. These are the more energy efficient light bulbs that might cost a little extra but will return that money in the long run because of their extended lifespan. If you’re in the market for a new refrigerator, washer machine, dryer or dishwasher then you should be looking for models that are Energy Star rated. These are the appliances that will be the most energy efficient. You might start noticing a reduction in your power bills almost immediately. Every grocery store provides you with the option of “paper or plastic.” You can actually step up with a third option: reusable bags. These cloth bags are becoming very popular and are often much more durable than plastic bags. You just have to get into the habit of remembering to bring them into the store with you! Water coolers around the office are very common but there’s no reason why you can’t also have a water cooler around your home. This is a great way to cut back on all those plastic water bottles. Hot water for laundry is more expensive than cold water. The question is does hot water make a difference? In reality, probably not. Try washing your next several week’s loads of laundry and just cold water and see if there is any change. One change you might notice right away will be on your water bill! If you were looking to clear unwanted clutter from your garage, basement and closets, then you would find the perfect recycling partner in Junk King Chicago. These junk hauling experts have dedicated themselves to a green way of getting rid of junk since they started collecting over 10 years ago. The Junk King crews will do all the sorting of your rubbish to pull out the items that are deemed recyclable and they’ll make sure they get to the right facilities. 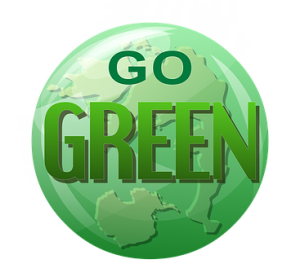 Go green with your junk removal by hiring Junk King Chicago today. This entry was posted in Chicago Junk Removal and tagged green, junk, recycle on August 27, 2017 by Junk King. Last updated August 27, 2017 .